Are These Just Bad Kids? Home // Blog // Are These Just Bad Kids? It seems that every year we see a barrage of student athletes in the headlines for the wrong reasons. They are making bad decisions, potentially life changing bad decisions. We see student athletes lose what is quite possibility their only opportunity to get a college education. These athletes work hard to get to where they are and throw it all away by doing things that are completely avoidable. I don’t think these are bad kids. Some of them are underprivileged, thinking that they have limited choices and end up making bad decisions. Others are more than privileged to the point that they feel invincible. They feel they can do whatever they like and not worry about the consequences. In either case, I feel a lot of student athletes are incapable of making good decisions because they just don’t know how to process a situation to get to the best possible outcome. So, again I say they are not inherently bad kids! They are just bad decision makers! 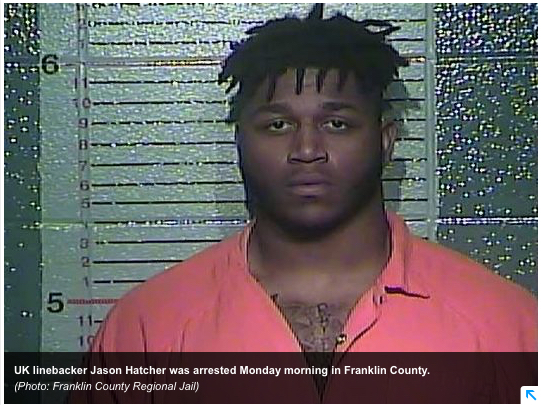 See full story on Kentucky’s Jason Hatcher arrested. We send these young kids off to college ill equipped to handle basic life choices; choices that put them in harms way; choices that impact their families and careers; choices that are even deadly. But let’s be factual here. Not all student athletes make bad choices and get into trouble. The majority of them actually go through their entire student athlete career without a blemish. However, we do have to alternatively consider that there are those that do make bad choices and don’t get caught. So, whether they are making good decisions, making bad decisions and not getting caught, or constantly staying in trouble, every student athlete deserves an opportunity to become better critical thinkers. Most universities offer programs geared towards enhancing a student athlete’s life skills. In my humble opinion, these programs miss the mark when it comes to improving critical thinking. Critical thinking is the foundation that supports good problem solving and decision-making. This foundational element is what is missing and causing many student athletes to falter when faced with life-changing decisions. A focused effort on critical thinking that involves experiential approaches and practical applications is the answer. This answer leads to enhanced capabilities that look at situations from all angles, evaluate possible outcomes and make better decisions. Until we make this a core part of student athlete’s DNA, we will still see the headlines light up each and every year. What’s your opinion? Are these just bad kids that are destined to make bad decisions or do we have a society of student athletes that are not capable of making good decisions?